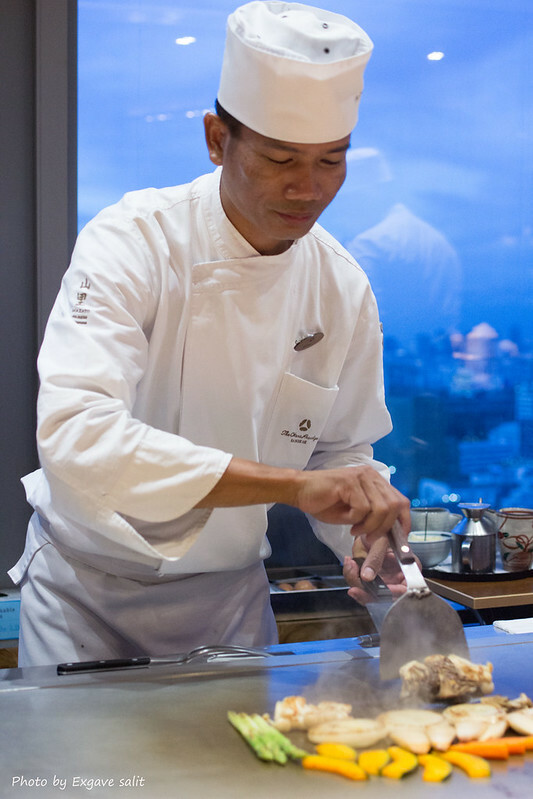 Yamazato is the authentic Japanese haute cuisine restaurant at Okura Prestige Hotel Bangkok. 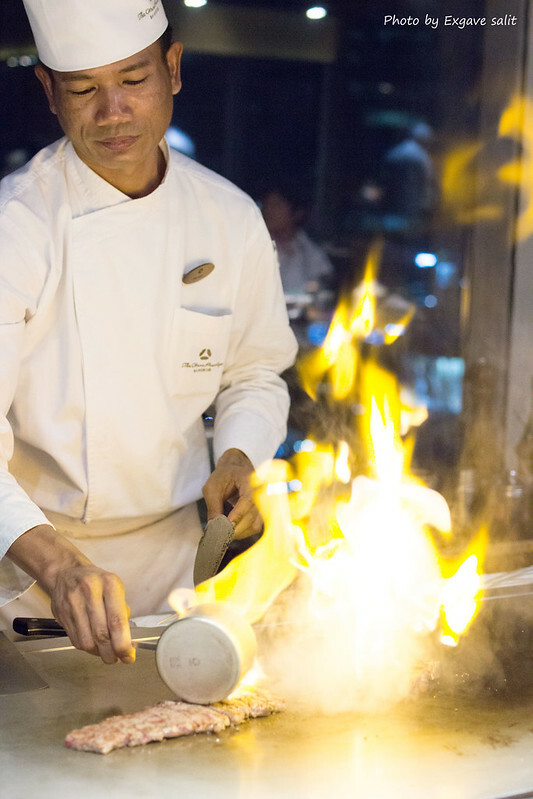 Yamazato has 3 difference zones for clients; Teppanyaki table, Sushi bar and private dining room. 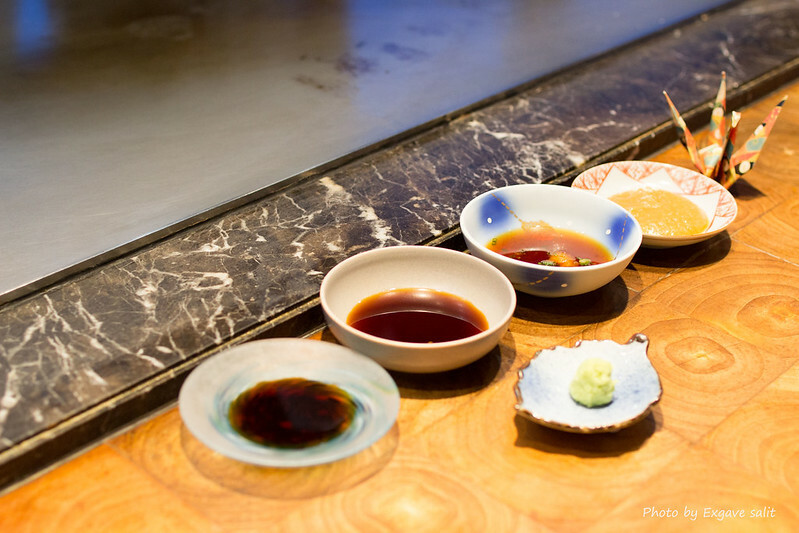 Most of ingredients that are used in Yamazato are imported directly from Japan. 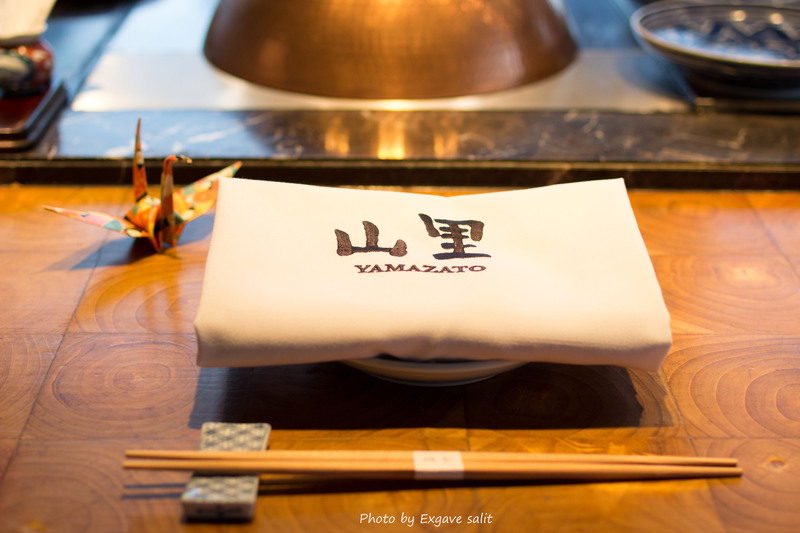 Also yamazato celebrates all Japanese festivals, like Tanabata and Kodonmonohi, and offering special lunch and dinner menus on that day. 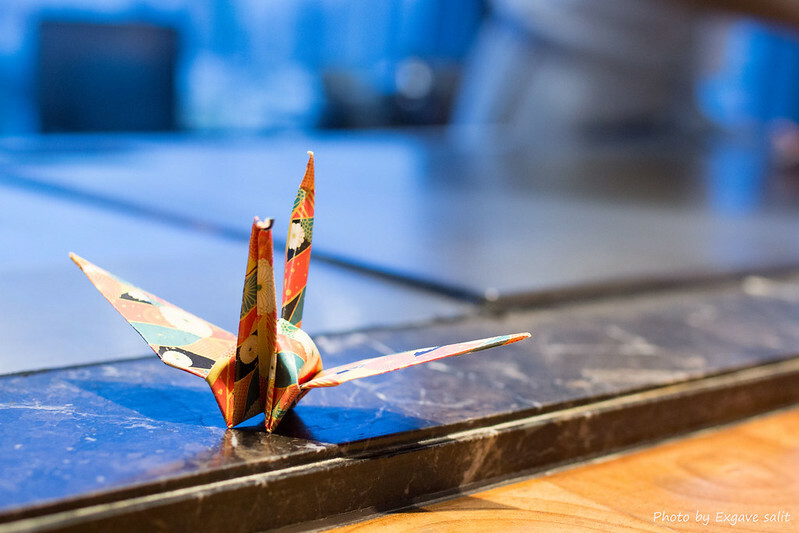 The decoration is kept in traditional Japanese style – So comfortable. The staffs were super polite, attentive and helpful; One of top-notch services in town. The service is nonetheless to the legendary Le Normandie. For today, I went for Teppanyaki. There are 4 courses available for you; Sora of 6000++THB, Yama of 5800++THB, Sachi of 5500++THB, Sato of 5000++THB and Umi of 4000++THB. 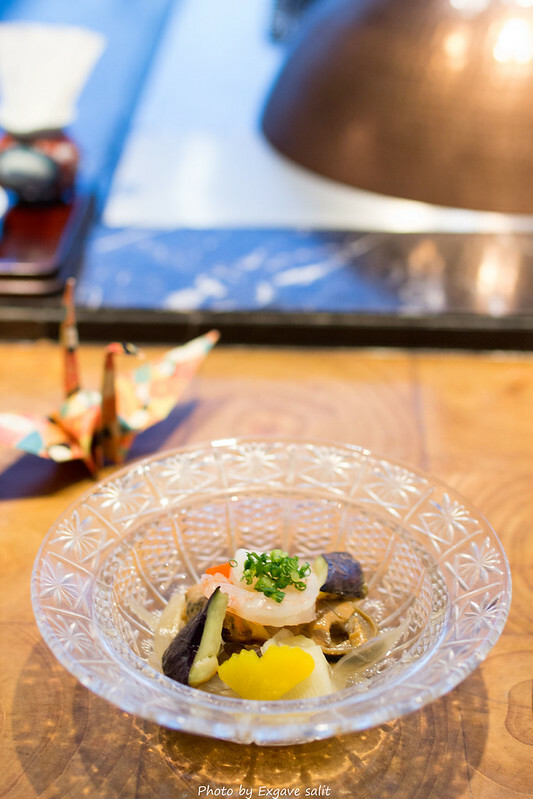 All set will have yamazato Tsukidashi, salad of organic greens in Wafu dressing, stir-fried vegetables, scallops and prawns, steamed rice or stir-fried garlic rice, miso soup and pickles and dessert in common. The difference is the main course. This time I chose Sato and Yama. 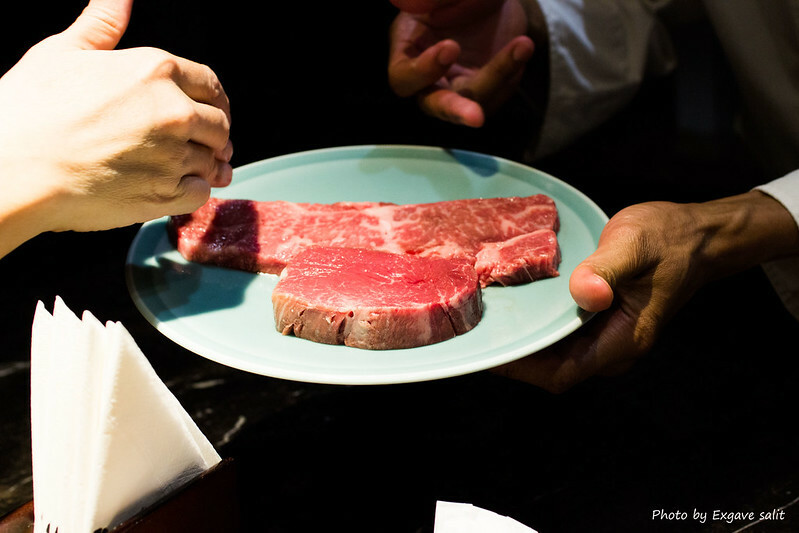 For Yama, the main dish will be premium WAO sirloin (200g) A7 from Kumamoto. 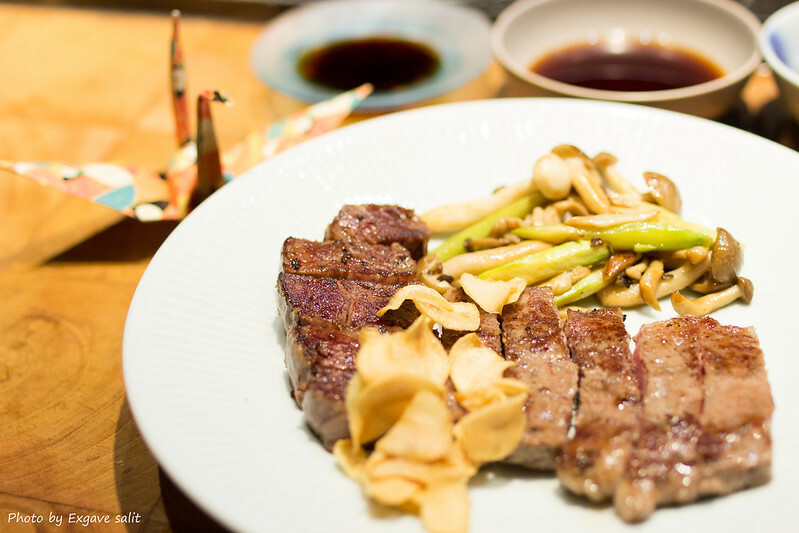 Sato’s main dish is special Japanese prim tenderloin (200g) A3. 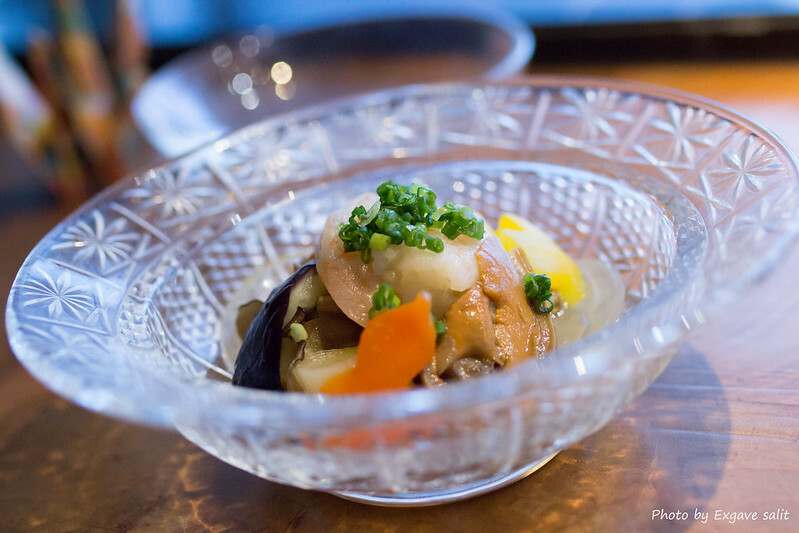 Prior to the main course, I was served with Yamazato Tsukidashi. It was cold prawn, eggplant and oyster. It was not so impressive. It tasted too light but all ingredients were fresh. 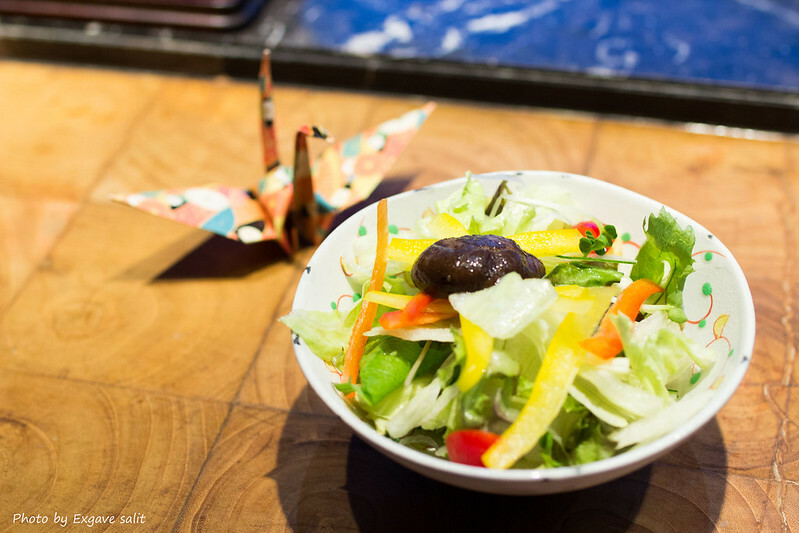 Greens organic salad with Wafu dressing was served next. Wafu dressing was creamy, slightly salty and flavorful. 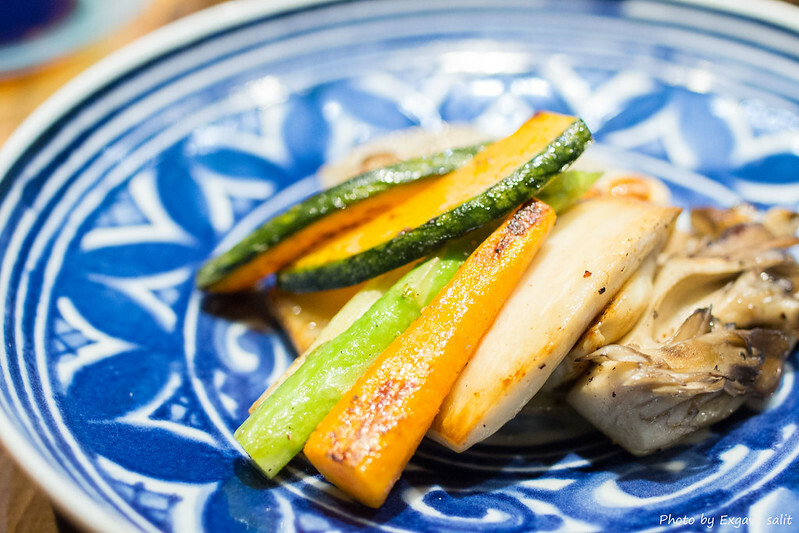 Stir-fried vegetables were cook to the perfection. It was so soft and delicious. If you find it too pale, you can dip it into salted soy bean paste. This one is not included in both sets. 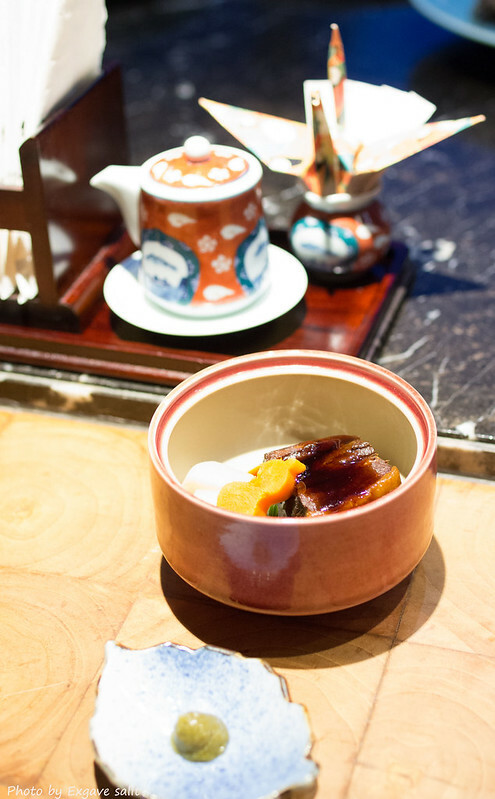 It was a chef’s original simmered pork belly and vegetables in sweet soy sauce. Pork belly was super tender and supremely savory. 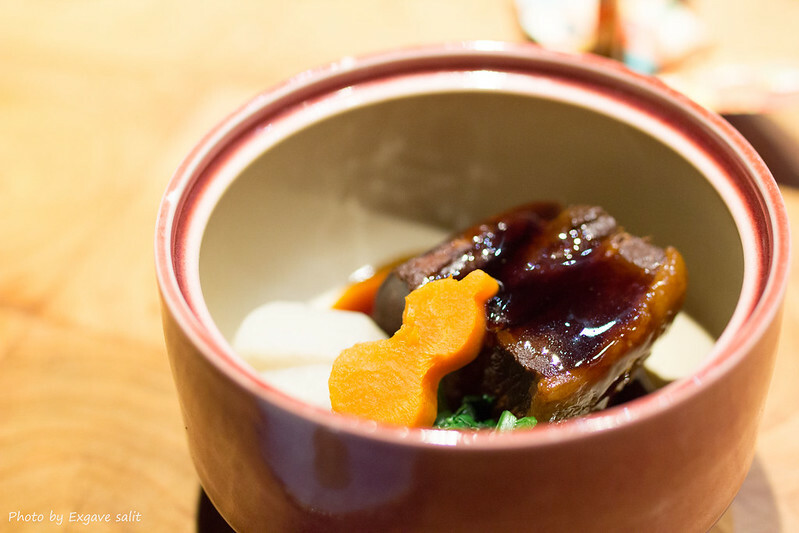 The sweet sauce merged fabulously with simmered pork belly. The additional price of 380++THB is needed for this superb dish. Unfortunately, I forgot to take a picture of scallops and prawns. Both are super fresh and tasty. This one also is not included. It was Ike lobster or fresh live Canadian lobster. The lobster was a top quality. It was extremely fresh, sweet, spongy and yumilicious. It was cook to maximum deliciousness. The one you should not miss indeed!! 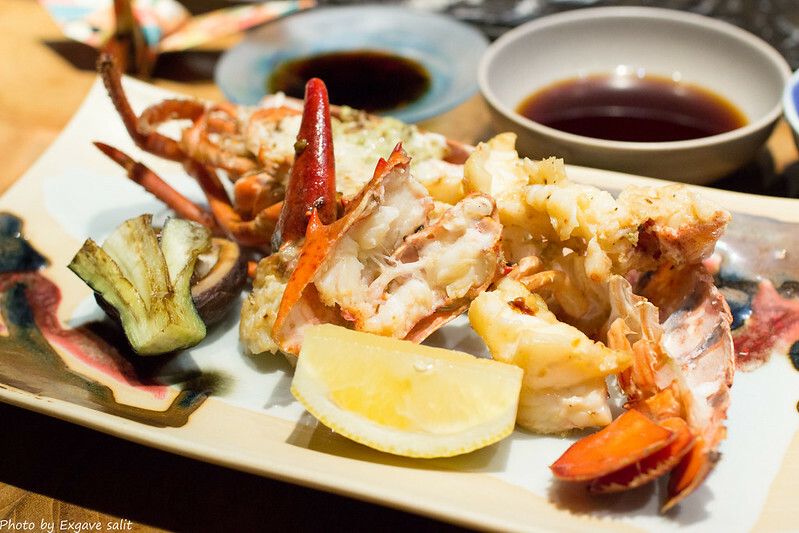 There is an additional price of 2000++THB for this fantastic lobster. The stars of my dinner had come; premium WAO sirloin (200g) A7 and special Japanese prime tenderloin (200g) A3. For premium WAO sirloin, it was marvelous. It is the best beef fillet I have ever tried since I was born!! I cannot describe how tender it is. Try it yourself then. 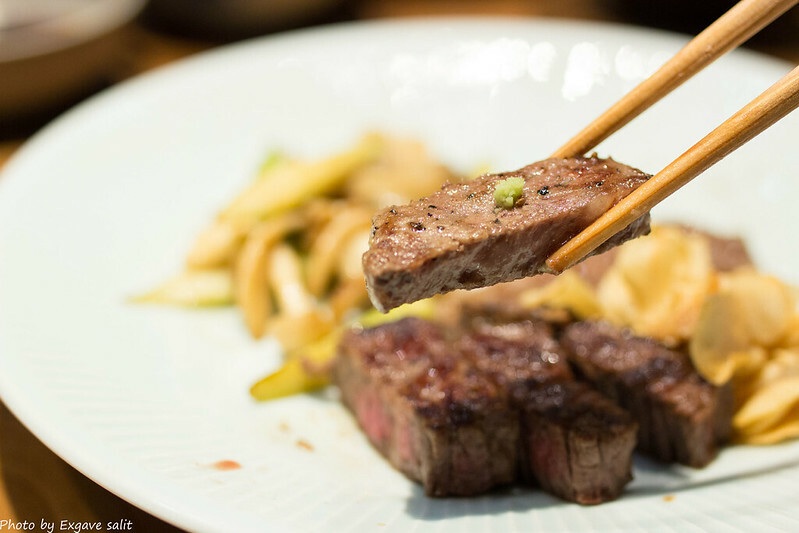 Here come to special Japanese prime tenderloin, it was nonetheless to sirloin. Ok, it was not tender as sirloin but it was very enjoyable. It was soft and juicy. Chef shows us the beef fillets before cooking. To couple the beef, I chose stir-fried garlic rice. 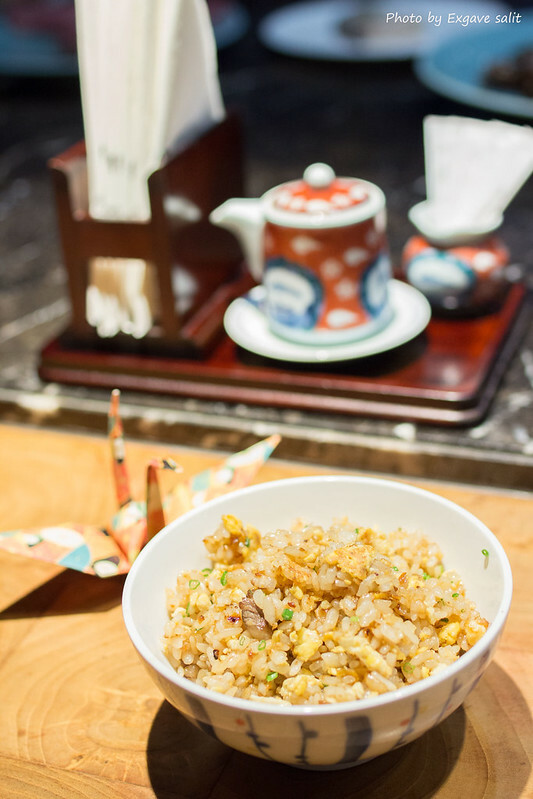 It was surely the best stir-fried garlic rice in Bangkok. Chef put some chopped beef marble into it. It was so flavorful and savory. Enjoyment described all. 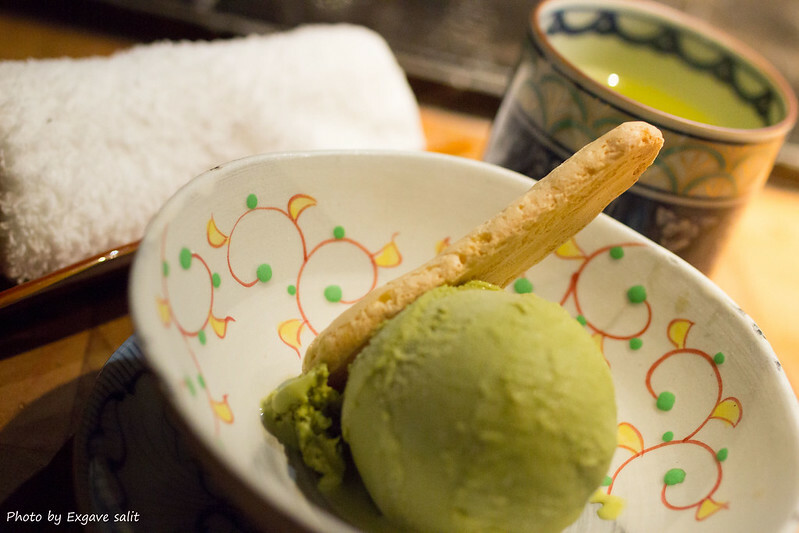 To end the meal, I picked vanilla ice-cream and my grandpa picked green tea ice-cream. The vanilla ice-cream was so dense, smooth and rich. The vanilla scent was so pleasant. Same goes to green tea ice-cream, it was so green tea. The texture was rich and smooth. 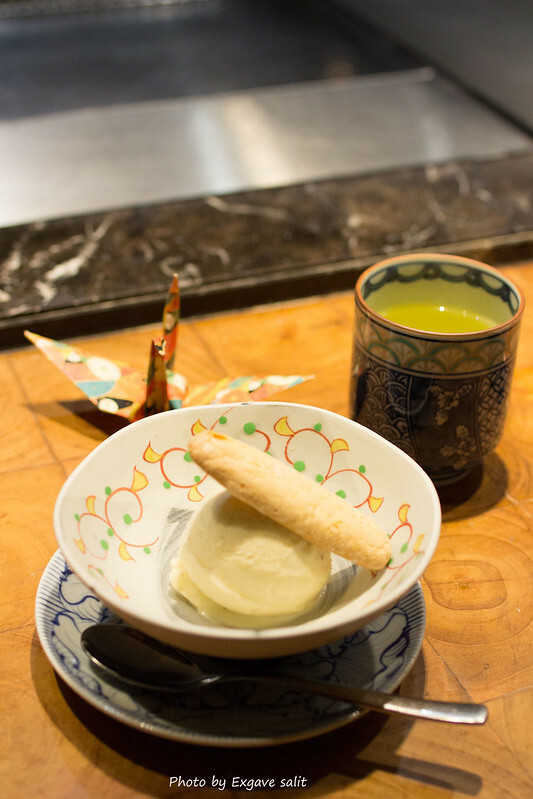 The Japanese cookie matched nicely with both vanilla and green tea. Hot green tea was strong and bitter.